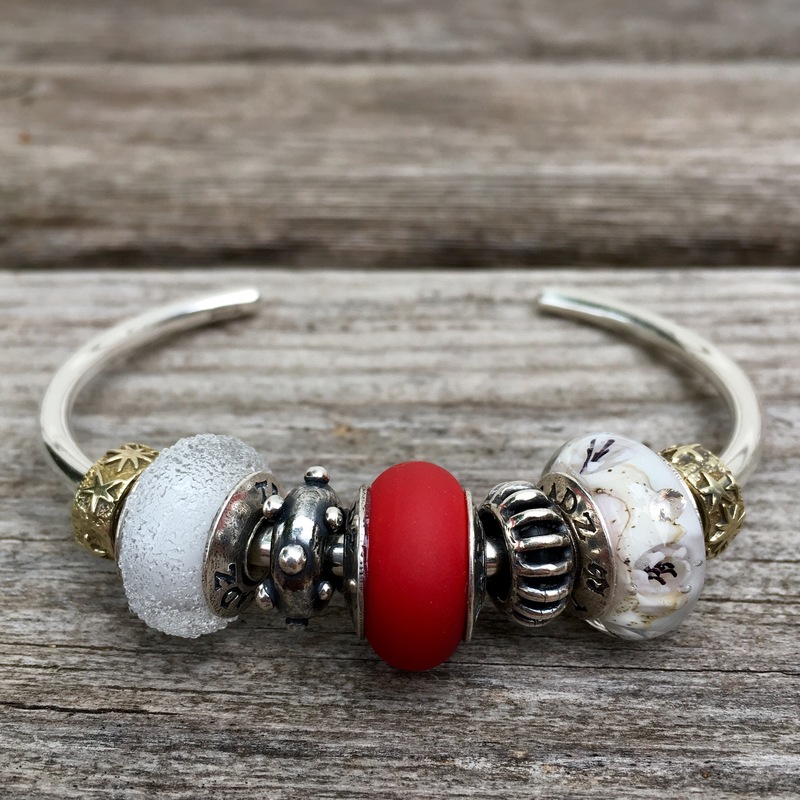 For the third day of travel week I’m featuring a few new beads from True Beadz and a bracelet inspired by our accommodation in Beijing, China from a few years ago. We often stay in family rooms in hostels while traveling. Outside of North America it’s super hard to find hotel rooms with two double beds! At hostels, we can have a room with beds for all four of us and usually an attached bathroom all for a decent price. Also, I like the atmosphere of hostels where you are staying with like minded travelers from around the world. I just am careful to research it thoroughly so we’re not staying in a party hostel! In Beijing we stayed at a lovely place in a hutong, which is a series of narrow alleys that form courtyard residences. 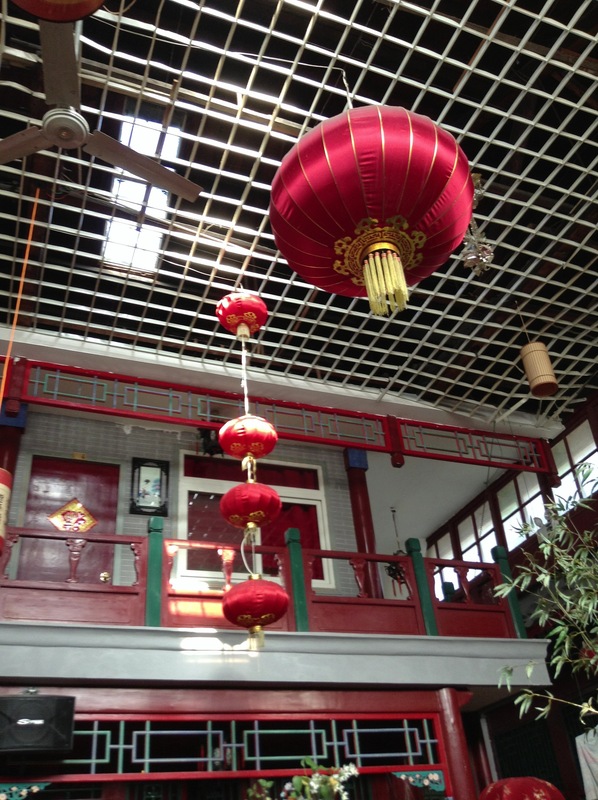 This one was called Beijing Red Lantern House. Here is where we ate a lot of our meals. For about $8 we could get an array of freshly made, delicious noodle and rice dishes. 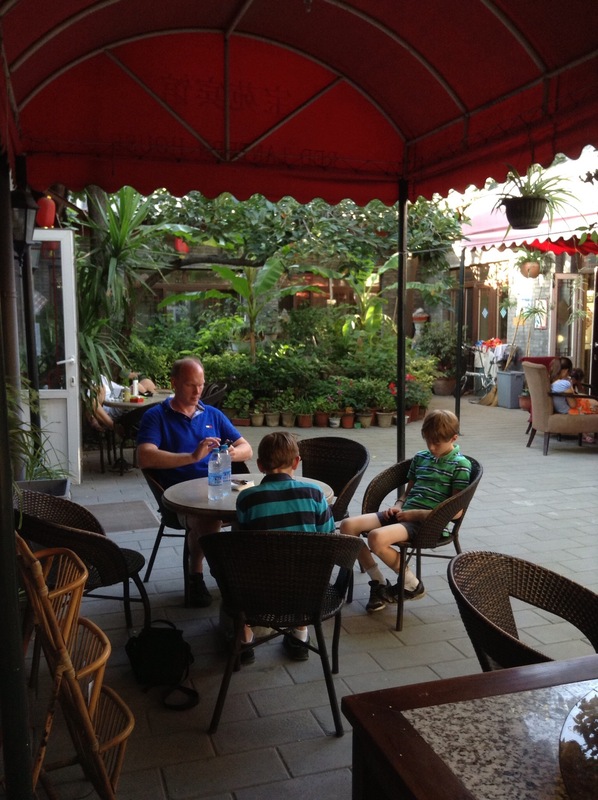 Then, we could just take a short walk out of the hutong to the main road and take the boys to Dairy Queen for dessert. Plus it was a short walk to the subway-a perfect location! Of course, no trip to China is complete without a trip to the Great Wall. After about a week in Beijing we took a high speed train to Shanghai. They were having a heat wave and it was over 40 degrees every day! 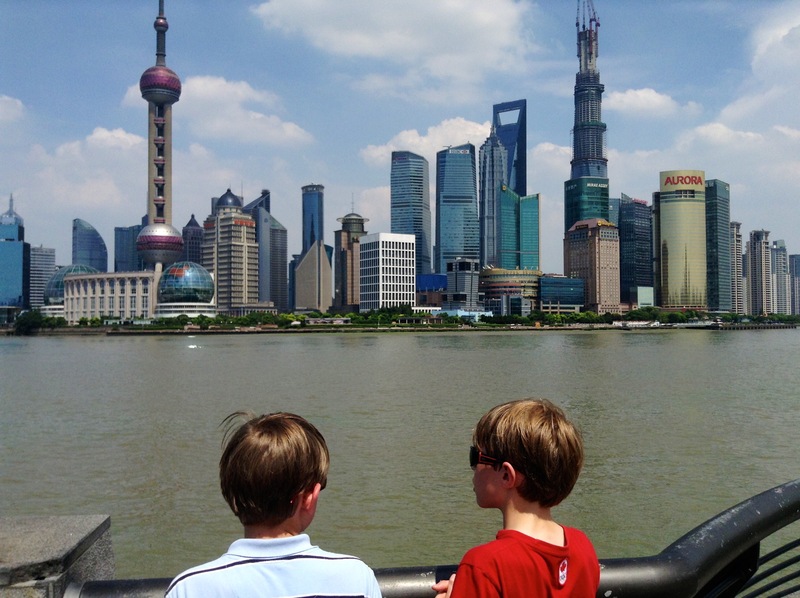 This is the view from The Bund. 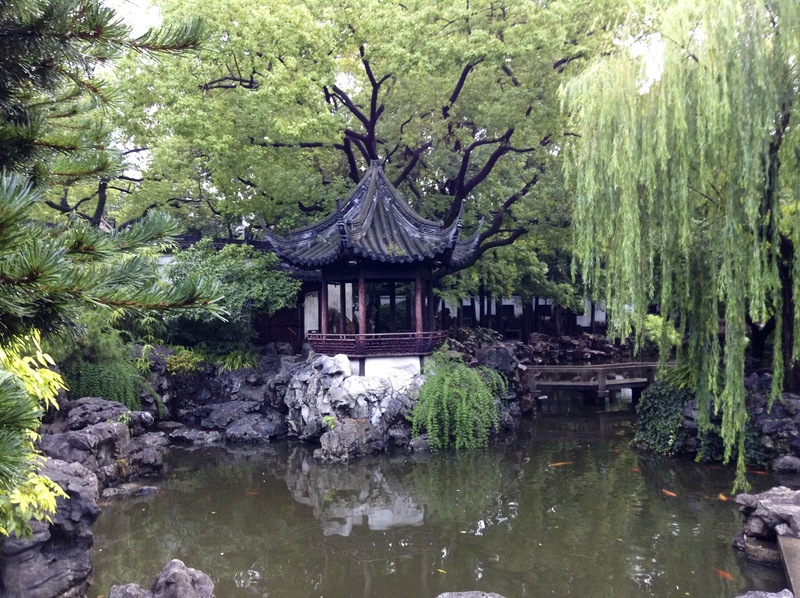 We really liked the Yu Garden in Shanghai. So, even though it’s a bit cliché, I thought I’d use some red for today’s theme. This is the new True Beadz True Touch Strawberry bead in the middle of the bangle. The stoppers are the brass Star Redbalifrog ones. Then left to right are True Taste Siberia, Trollbeads Dot’n’Dot, the Strawberry bead, Trollbeads Sunbeam and True Beadz Summer Garden CZ. For a combo I added in some red and bronze X Links and the Redbalifrog bracelet with Heart Love Lock. I pretty much never put beads on this bracelet because it’s so pretty. I also tried the True Beadz Almost Rose Quartz as a focal point because it has a reddish/pinkish hue. Left to right below are True Air Baby Pink, Trollbeads Connected Love, Almost Rose Quartz, Trollbeads Sweet Berries and the True Air Baby Pink again. 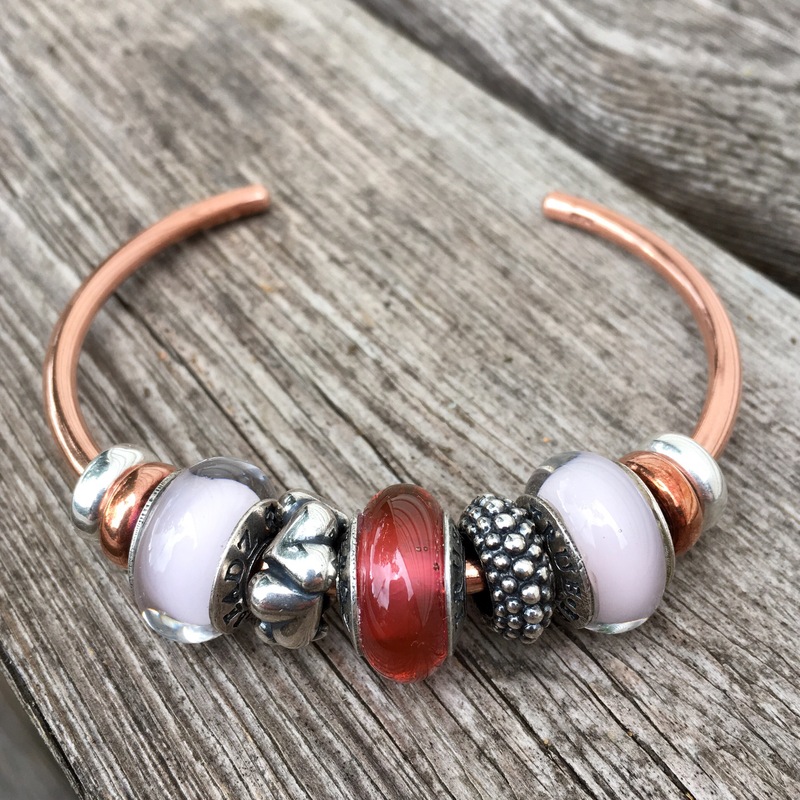 And here’s a bangle with some deep pinks. 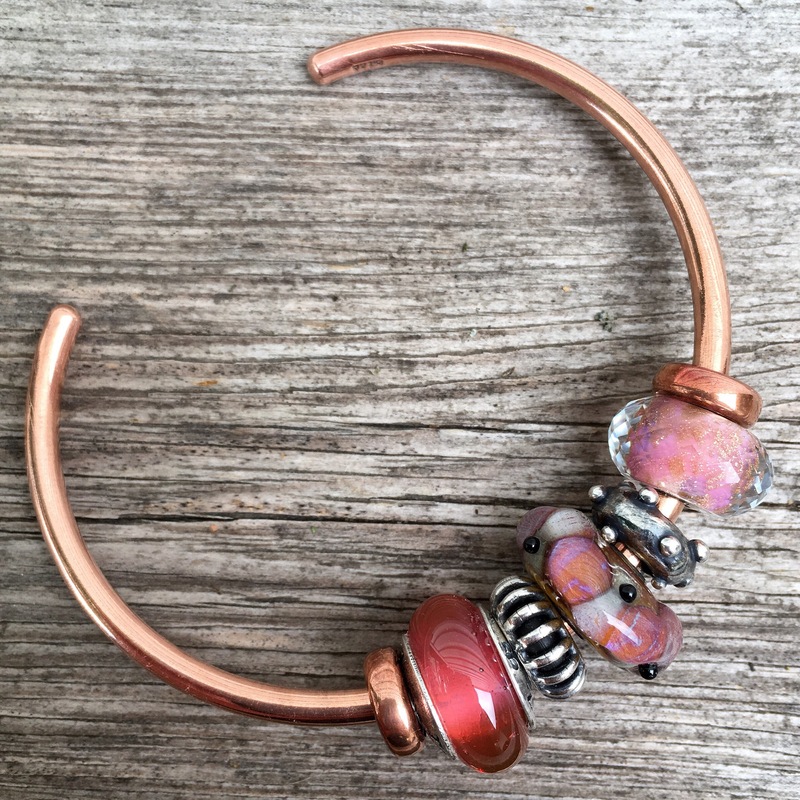 I seriously love the Almost Rose Quartz on the Trollbeads Copper Bangle. The bangle shines up really easily if you coat it with ketchup for about 15 minutes! The bead in the middle is by Trollbeads and called Pebbles. Top right is the gorgeous Pink Delight Facet. Coming up tomorrow for travel week is Canada, a vast country with some beautiful spots! For sure! Or Christmas, too. The red is such a true red. I will use it a lot! The True Touch Strawberry is amazing – what a rich color. And the more I See the Almost Rose Quartz, the more I like it! Kim, I was just saying on Instagram that I think the Strawberry is a perfect red. It’s so rich and not at all orangey. Honestly, I wish we could afford to travel to Asia every year. I love the shopping too, for fun little trinkets like pens. I can imagine you had a great laugh when you discovered the taxi rides were about $2! We were in Singapore last summer and discovered it was cheaper to take a taxi from the airport to the hotel than take the subway! 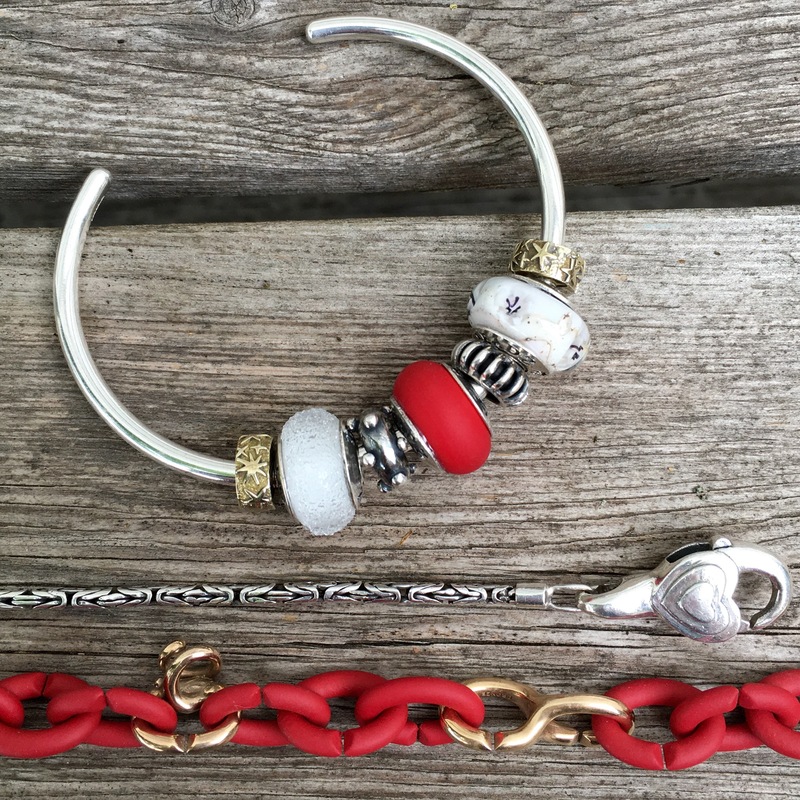 Your beads and bracelets are gorgeous for this travel n’ beads blog post. Red is not cliché at all, it’s glorious , as is the True Touch Strawberry. I am enjoying your tips on how to travel and eat for less and get good accommodation ! Ways to save money so there is money left over for beads, is a valuable addition to these beautiful memories and photos! 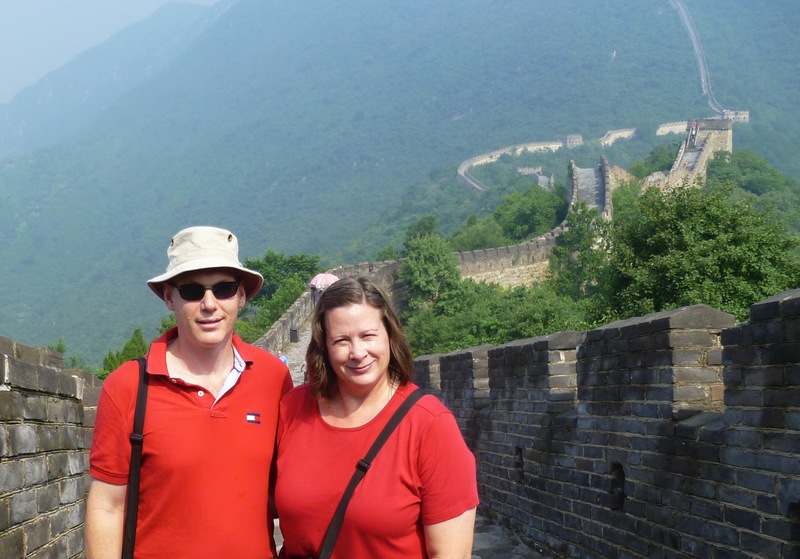 I love the photo of you and Wayne on the Great Wall. Beautiful beads! And I really like the holiday pictures 🙂 I am sure you all had a wonderful time! Thanks Marloes! We really did have a super time. We joined a five days tour from Hong Kong to Beijing in April, we got a room and my son got his own room at Great Wall Sheraton Hotel. Flight, hotel, three meals a day, tour bus, tour guide, entry ticket all included Can $2000 for three of us. We visit my family once a year I. Hong Kong, then we will join tour to another Asian country for fun. I discovered Trollbead has 7 concept stores in Hong Kong, I got Soft Sunrise bangle, Stories of you bracelet, Fanstasy amethyst necklace & Zuchinni bead. Trollbead should open a concept store in Ontario. I totally agree that we need a concept store here!